The adventure cables are located outside the forest giving a large panoramic view of the hole area. 6 twin cables to share the experience with your partner for the glide and one more, 750 meters long steel towers, 8 hanging bridge (60m high), high velocity ride full of adrenaline. 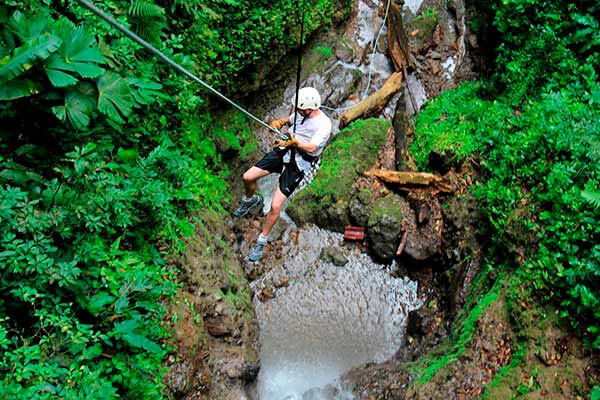 The tour also offer the surprising thrill of the Tarzan swing a total of 3km long ride, 200m above a picturesque hidden valley.